On behalf of the men and women of the City of Muleshoe Police Department, I want to welcome you to our website. This site is one of the many ways we strive to assure that we are effectively communicating with the citizens we serve. To help make this effort a success, we will work to make this site as useful and as interactive as possible. The Muleshoe Police Department continues to work toward meeting the public safety needs of our community. Much has been made of the community policing philosophy in recent years and we will continue to do our part by partnering with our community. We hope you take the time to look over our website and get to know more about your Police Department. We have a great staff of sworn and civilian employees who are always happy to answer any questions you may have concerning public safety. Thank you for helping us make Muleshoe a safe community, and a great place to live and work. 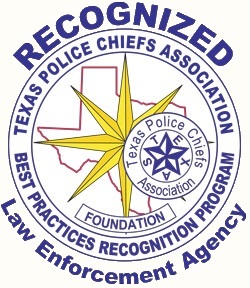 The City of Muleshoe Police Department is a recognized law enforcement agency through the Texas Police Chief's Association Best Practices Recognition Program. This program evaluated our Department's compliance with over 168 best practices for Texas law enforcement agencies. These best practices cover all aspects of law enforcement operations including use of force, protection of citizen rights, vehicle pursuits, property and evidence management, and patrol operations. Patrol,Investigations,Communications/Records, & Code Compliance. Each works cooperatively to provide a high level of service for residents and visitors to our community. MPD also offers various community policing programs, in which we strive to enhance our community interaction and relationships through these programs. Checkout our community programs page for more information. Our mission is to provide fair and impartial service, while working with the community to improve the quality of life for all. We strive to do the right thing, for the right reason, in every situation. Thank you for visiting our webpage, we hope the information we provided was helpful.